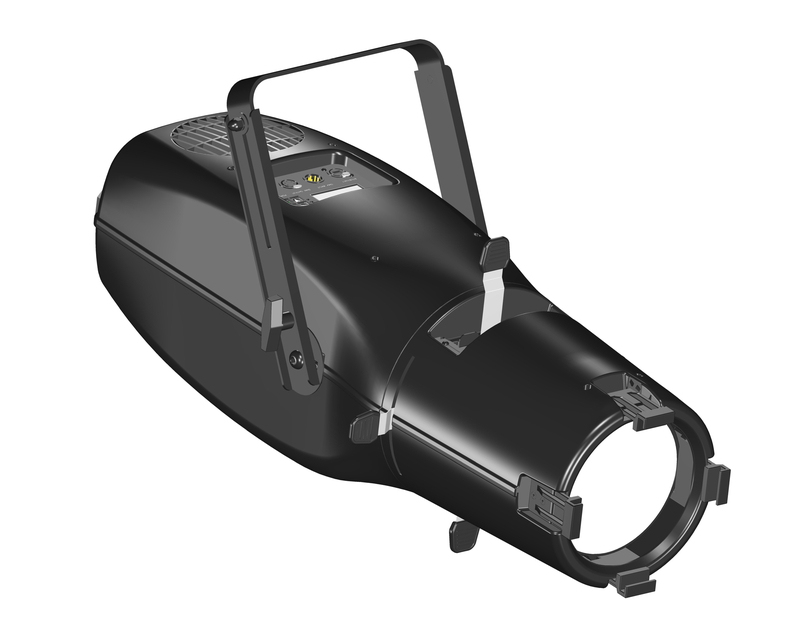 Delivers the performance of a 500 watt profile fixture with a maximum power consumption of 150 watts. Available in 18 to 34 or 24 to 44 degree beam angles. Slot provided for iris, M-size pattern holder, or third party effect accessory. Infinite color choice from the RGBW engine and supporting color temperatures from 2700K to 5600K in white. Homogenized fully mixed color output light, no multiple color shadows. Ten’s of thousands of hours of life expectancy.